Berliner weisse is the only beer style that is rarely served without augmentation in the glass. In Germany it is considered strange to drink it without a dose of sugary neon-colored syrup. I love to drink it straight, but its mild wheaty flavor and bright lactic acidity make a wonderful backdrop for bold fruit (as so many breweries in Florida have discovered)! Without raspberry, woodruff, or passionfruit Berliner weisse is usually compared to lemonade, so why not add actual lemons? The wort for this batch was second runnings from a saison flavored with wine and hops both from New Zealand. Despite that, the brewing process was pretty much my standard for a Berliner weisse, mashed with a hopped decoction, with wort subsequently heated nearly to a boil to sanitize, but not actually boiled. I’ve been disappointed by the acidity imparted by commercial Lactobacillus in previous batches. Luckily both Wyeast and White Labs recently released more aggressive Lactobacillus brevis cultures. At a pH above 4.5 an enzyme produced by Lactobacillus denatures the proteins responsible for head retention. To combat this, I added refined lactic acid to lower the pH of the wort prior to fermentation. I’m looking for a finished pH below 3.5, so the refined lactic acid will represent less than 10% of the total acidity. 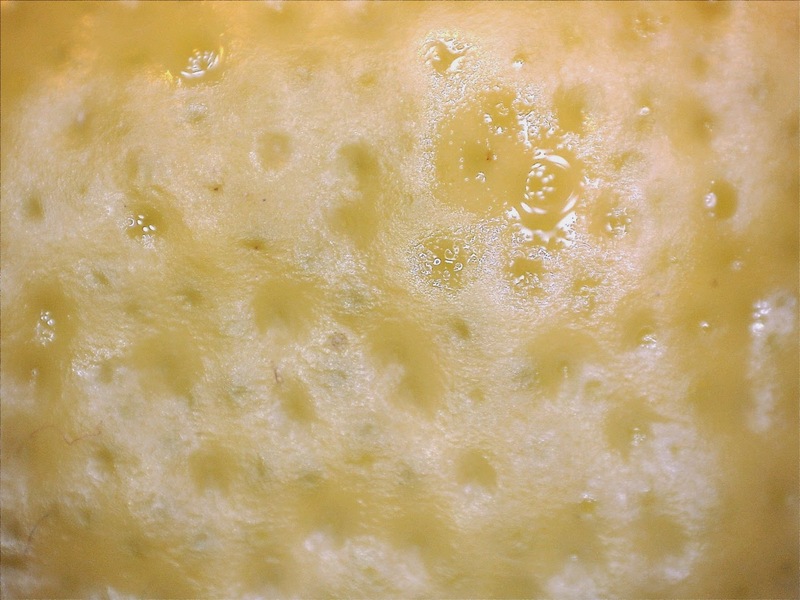 A big starter of Wyeast L. brevis ensured a quick start to fermentation. This is important because Lacto needs carbohydrates to produce lactic acid. I pitched US-05 without rehydration after I saw some good activity from the Lacto. I didn’t want to risk waiting too long because a low pH can disrupt the ale yeast's fermentation. That night I drank a bottle of Boulevard's Saison Brett (generously sent by James Spencer) and added the dregs from it to the fermentor as well. After two months, with fermentation finished as indicated by a stable gravity of 1.002, I added strips of zest harvested from three lemons with a vegetable peeler. My goal was to impart a brightness to the aroma, without turning the beer into furniture polish (24 hours seemed to be plenty of time). For many previous citrus-peel infused batches I've turned to a Microplane grater. Last summer while I was working at Modern Times I was amazed by how much citrus aroma we achieved in a "Five-Alive" version of Fortunate Islands using a vegetable peeler (maybe because it gets a bit deeper into the skin?). I still try to leave most of the bitter white pith behind, but invariably a small amount is taken with the colorful zest. For half of that batch that was all the lemon it received. Once I was left with two gallons in the bottling bucket I pulled a sample for a quick taste test. I decided to reinforce the remainder with 25 g of True Lemon (ingredients: citric acid, lemon oil, lemon juice, vitamin C, and maltodextrin). I've been experimenting with adding it to beers by the glass for a few months (along with the Lime and Grapefruit variants). They are very easy to overdo, but in the right combination they are actually pretty convincing. 7/26/14 Made a 1L starter (50 g DME, nutrient, chilled to 112F, put on stirplate on low) with Wyeast L. brevis (two weeks from manufacture). Strong activity by the next morning, already a bit tart. Added 3 g of CaCl and 1 tsp of 10% phosphoric acid to the mash (along with a couple handfuls of rice hulls. Decoction didn't raise the temperature as much as I expected. Same treatment for the 170 F sparge water. Swapped wort back and forth to achieve 7.25 gallons @ 1.052, and 5.5 gallons at 1.034. Lemon Berliner - Brought just to a boil, added yeast nutrient, chilled to 85F, added 7.5 g of 88% lactic acid (aiming for 4.5 pH), pitched Lacto, left at 65F to ferment. OG 1.030. L. brevis and Saison Brett dregs for the first 24 hours - activity by 12 hours, then US-05 (11 g, not rehydrated) (down to 1.024 already). Sitting at ~75F ambient after two-three days to ensure complete fermentation. 9/27/14 Down to 1.002, added strips of zest from three lemons (still in primary fermentor). 9/17/15 Tasting notes for both versions. The zest alone was far and away my preference. The True Lemon gave a Country Time Lemonade flavor that dominated. You mention you put your lacto starter on a stir plate, but I was under the impression that O2 was bad for lacto. Is that a typo, or am I mistaken and there's greater benefit to the stirring? @Derek, That depends on the Lactobacillus. L.brevis starters are made with oxygen L.delbrueckii without. Yep, as the other poster noted it is species dependent. I quote a study in my book that found 50% more cells when L. brevis is aerated. In general Lacto is not harmed by oxygen, oxygen is often excluded (from say a sour mash) because other unwanted microbes require it. The enzyme comment was from Professor Burghard Meyer in his CBC presentation about Berliner weisse. I don't believe he mentioned the enzyme specifically. Do you just wash the lemons before peeling? I'm assuming the beer is so acidic no worries of introducing anything from the peel correct? I see you aerated the lacto starter, but did you also aerate the 5.5 gals of wort before pitching the lacto/dregs? Nice! I usually add Lemon Verbena leaves to my Berliner Weisses. Even ones that end up getting fruit. It brightens everything up, and I never get that Polish or cleaner scnet from it. I wash them lemon with warm water and a paper towel to remove any edible wax and dirt, then peel and toss it in. The alcohol, low pH, and minimal residual carbohydrates make a finished sour beer a difficult place for any microbe to thrive. I did not aerate the wort at pitching. At that point I'm not looking for cell growth, just fermentation (lactic acid production). Thanks for the lemon verbena tip, I'll add that to my list for things to try in the future! So many fun herbs I have yet to experiment with. Did you track pH at all? We just experimented with Wyeast l brevis and had it stall at ~3.9 after 2 wks. Same result in 2 - 5 gal pilot batches both with a good starter. Do you have any guidance on lacto pitch rates? I read recently about more lactic acid production during lacto growth, so I'm wondering if its possible to over-pitch. What are you using to figure out the acid required to get your pH below the 4.5? Are the typical spreadsheets capable of this? Made a Berliner Weisse with meyer lemon last year and it turned out terrific. Sour worted (sous vide style) until the appropriate sour was met. Finished fermenting with 001. At bottling I put the the rind of two meyor lemons into a 1 L Whipping siphon with 500 mL of beer. Charged the sipon with NO then bottle two bottles at a time (only 1 gallon batch so 6 bottles). The meyor lemon aroma was great and it added a good amount of flavor as well. I think next time I'd add a little bit of juice too just to boost the flavor. I used Bru'n Water to estimate the amount of lactic acid because my pH meter was broken. Now that I have a replacement I'd estimate, dose, test, repeat. Meyer lemon sounds delicious in a Berliner, and nice use of the quick extraction method! I'm planning on doing a Berliner soon and I wanted to bounce my process of you and see what you thought in regards to DMS. - Mash per usual with ~60% pilsner and ~40% wheat (no hops in mash). Raise temp of wort to ~180 but no boil, cool to ~100. I'm wondering if this process would create DMS at a level that would come through in the flavor. I've read that not boiling at all could be better to limit DMS production, but I'm wondering if you have seen high DMS production with short boils like this. Would you recommend just doing a 60 minute boil as opposed to the shorter boil? I haven't done a short boil with a Pilsner based wort. I know Jamil suggests it in his Berliner recipe. I like the no-boil to preserve some of the raw-doughy flavor of the wheat. A full 60-90 minute boil is certainly safer if you are worried. I've been happy enough with my process not to mess with it much, other than the microbes. So many pre-soured Berliners just don't have the variety of flavors and crispness that I think the style craves. I'm planning to to brew a no boil berliner weisse this weekend and was hoping somebody with a bit of souring experience could chime in. Upon completion of primary fermentation, can I pitch the slurry into a second batch like with sacch/brett blends or will this not work when lacto is included in the mix? Yep. Should work fine. The sacch might out perform the lacto though. Mike, how did this beer turn out? Lacto actually grows faster than Sacch. You can certainly re-pitch, but the results may or may not be the same. Surprised I haven't done a tasting on this batch... straight zest is great, the one with lemon powder not so much. Notes coming soon. I have been doing your Fortunate Island #3 two times..One of the best beer I brewed.. I am really curious about your Five Alive version?.. Can you share what the procedure was and what fruit were used? Glad to hear! In 100 L we added five types of citrus zest: 135 g grapefruit, 60 g orange, 45 g lemon, 45 g lime, and 15 g mandarin. It was harvested with a vegetable peeler and then Alex scraped off the pith with a spoon. We added it to the keg and there was more than enough character after 24 hours. We ended up cutting with some fresh beer. About to take a stab at my first berliner this weekend. Is there a specific water profile that you'd recommend? I was considering targeting the "yellow balanced" profile from Bru'n Water, but figured I'd see if there was any tribal knowledge first. I should also note that I typically build up from RO, since my mineral content from the tap is very unpredictable. That should be fine. I generally don't do much water treatment for sours. Enough calcium for a good conversion is all I'd worry about. Some chloride for body wouldn't hurt either. What visual signs will tell me the lacto starter is processing as it should? You should see some activity (may not be much krausen or CO2 production), but a pH/taste test is the best way to figure out what is really going on. Brewed something similar yesterday. Got a strong lacto activity today. Why did you leave it two months in the fermenter though? I wanted to make sure the gravity was stable before bottling to avoid any risk of over-carbonation. You could transfer if you want, but for a beer with Brett there isn't much advantage. Yes, Lacto and Sacch will do what they are going to do relatively quickly. If you have stable gravity readings, no reason to wait on bottling. Curious about this method and was hoping you could explain the differences. Most Berliners I see people either sour the mash or the wort, then bring to a boil to stop the souring. With your method, you pitch the lacto and then pitch the ale yeast only a day later, so what controls the level of souring? Is it just that the ale yeast will take control? I would have expected there to be a temp raise to pasteurize the wort between the lacto addition and the yeast addition. 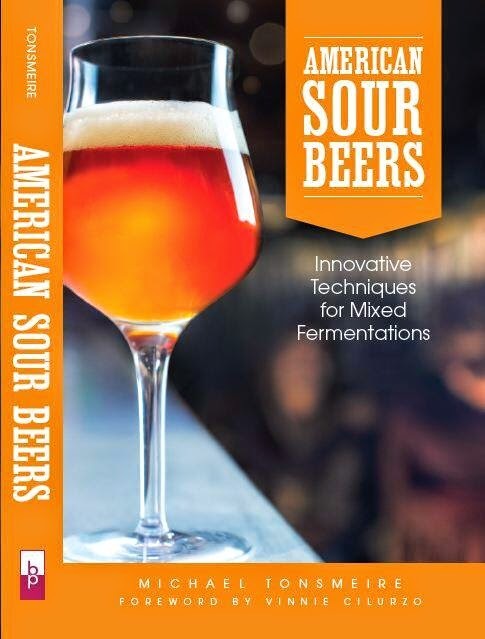 Sourness is determined by the speed/tolerance of the Lactobacillus strain, and the competition with the brewer's yeast. It certainly doesn't have the control of a pre-boil souring, although if you aren't monitoring the acidity every few hours you might end up with more lactic acid than you are expecting. I find the flavor of this method far superior to the quick souring methods used by many breweries. It is also much easier because there is no second day of pasteurizing and chilling again. Try both and see what works for you! Must be a 10 gallon batch with 16 lbs grain.